We started the Music to Grieve to list based around the idea of sad music being good for you. We researched and wrote a long article breaking down how sad music actually helps you grieve, and the original idea for the list was that it was going to be populated by sad songs. The thing is - as my countryman Robert Burns once said "The best laid plans o' mice and men gang aft a gley!" 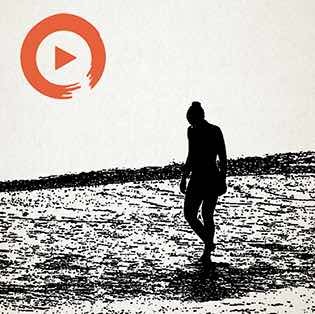 After we'd been doing this for a while we noticed that many of the tracks that people submitted to the playlist weren't actually sad - they were often more upbeat tracks but they were associated with a specific grief event in the person's life. As a result - the griever was able to experience the emotional benefits and release from these more upbeat tracks that one normally gets from sad music. I was on Instagram just yesterday looking at the Grieve to stream and came across this post from Tracy Woods, a Vet nurse and grief counsellor from Western Australia. She had written a blog entry about the power of music and how this particular Passenger track had helped her after her cat Teagan had died. And it's beautiful and appropriate and as she says "Although it is not necessarily written about death, it meant so much to me at the time because “I Let Her Go” "
It got me thinking about the track and I bumped what was originally planned for this week because this just felt right to publish today. You can learn more about Passenger and his music in the links below but if you're dealing with the grief from pet loss (we lost our beloved Charlie a few months back,) you can learn more about Tracey at her website here. After my dad died I was very sad - I couldn't play for a while and when I did, the music that came out reflected my grieving state. I wrote an album of solo piano music called Music to Grieve to - from which the idea of the Music to community originated. If you'd like to know more you should read Nicole's fabulous article on why listening to sad music can make you feel better.